So nothing makes a kitchen look brand new faster than a new countertop. And few things drain your bank account faster! 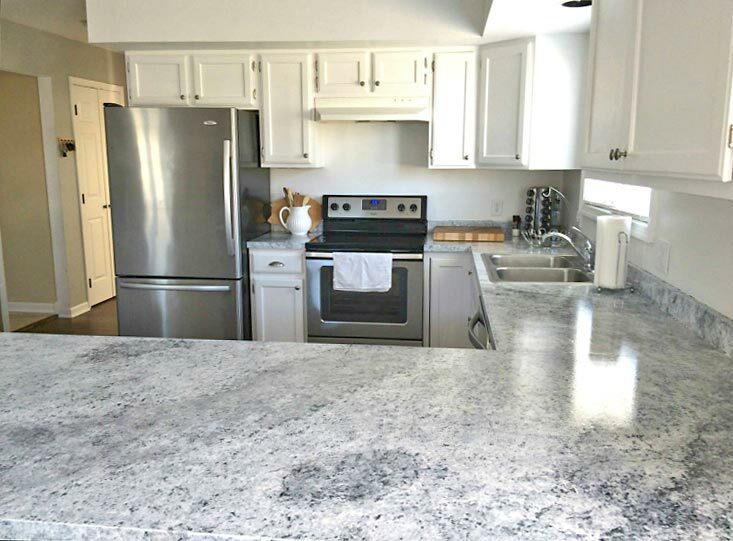 If you are looking for a way to makeover your counters without spending a huge chunk of your kids college fund, consider granite countertop paint. 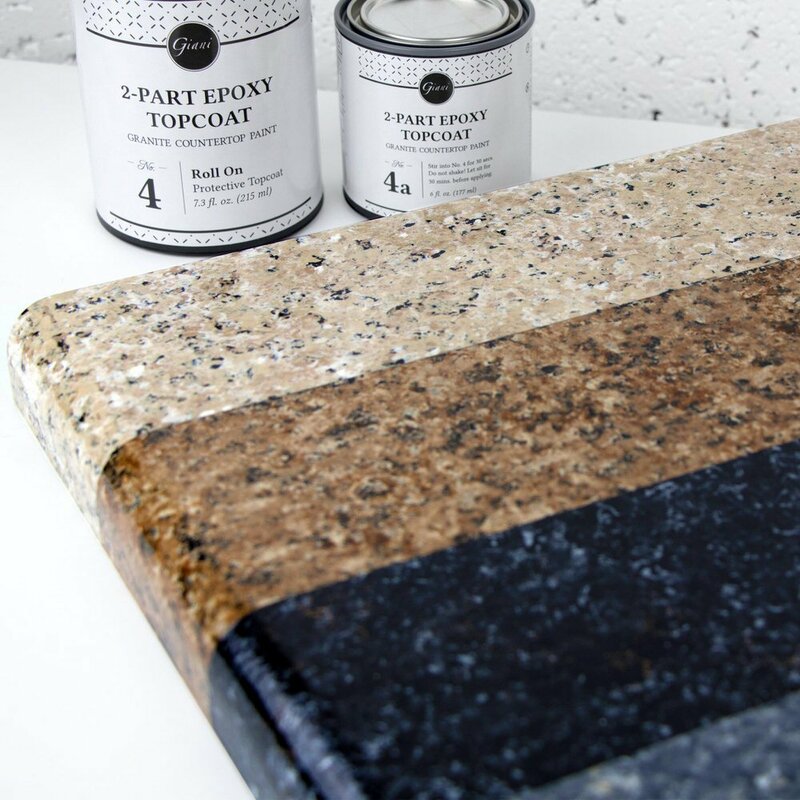 You can DIY faux granite countertops with just a few simple tools and a few easy steps. And if you follow all the steps and tips from these awesome bloggers who have done the faux granite thing before you, then it will last. And maybe someday you will find the funds to remodel with marble or granite. Or, maybe you will decide you don’t have to! We have some amazing tutorials for you to take you step by step through the process of faux granite countertops. But just so you have the basics down, here is a the five “P’s” for painting countertops to look like granite. Pick. Choose your granite countertop paint carefully. There are complete kits you can buy with everything you need. (See the bottom of the post for ideas!) You an also buy your own supplies individually. If you do, do your research. The primer and sealer are the most important supplies. Prep. Make sure you do all the prep recommended by your chosen tutorial. This can include sanding, wiping down with alcohol or vinegar, and roping off the kitchen for a few days while you get your granite face on! Prime. You must use a primer meant for sealing in a non porous surface. If you don’t use a kit, Kilz Original or BIN Primer are good choices. Paint. 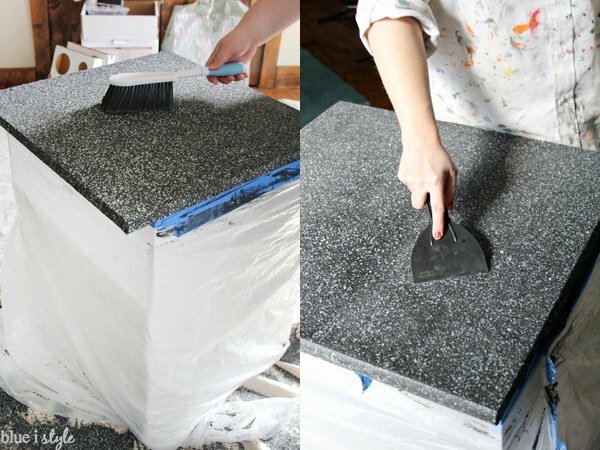 There are several steps and layers when you paint a faux granite countertop. 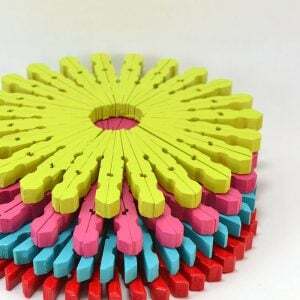 You will have a base color and one or more accent colors. Make sure the chosen granite colors complement the room. 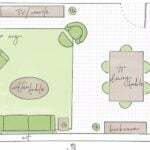 Follow the instructions of your kit or your tutorial for creating the granite pattern. Protect. Ok, this step cannot be skipped! You must seal in your counters to protect them from moisture & wear. NEVER cut or chop directly on your faux granite countertops! If you seal your counters as recommended and let them cure, you can look forward to years of use! Ok, let’s get on to your tutorials! 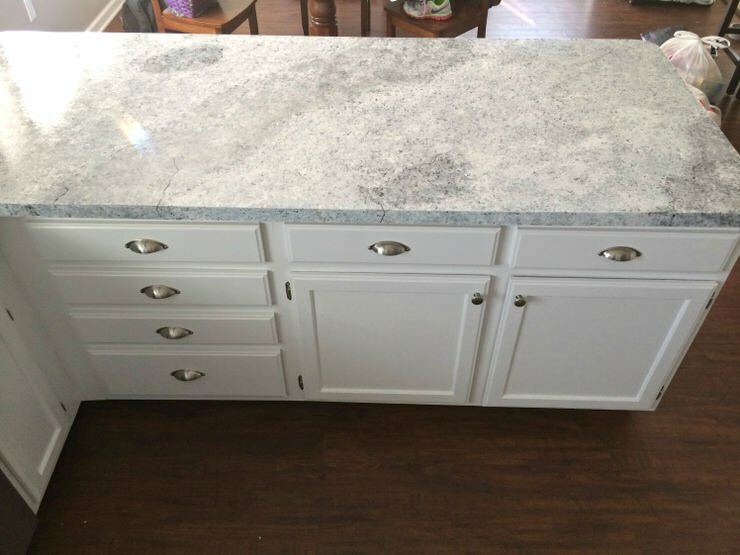 ‘Kenya Rae‘ used a granite countertop kit to create these awesome new counters! She walks you through every single step, plus has some great tips for you. ‘Blue I Style‘ used a kit that comes with decorative chips you add to the base layer to make it look more realistically like stone. Lots of step by step photos on how to fake granite countertops! 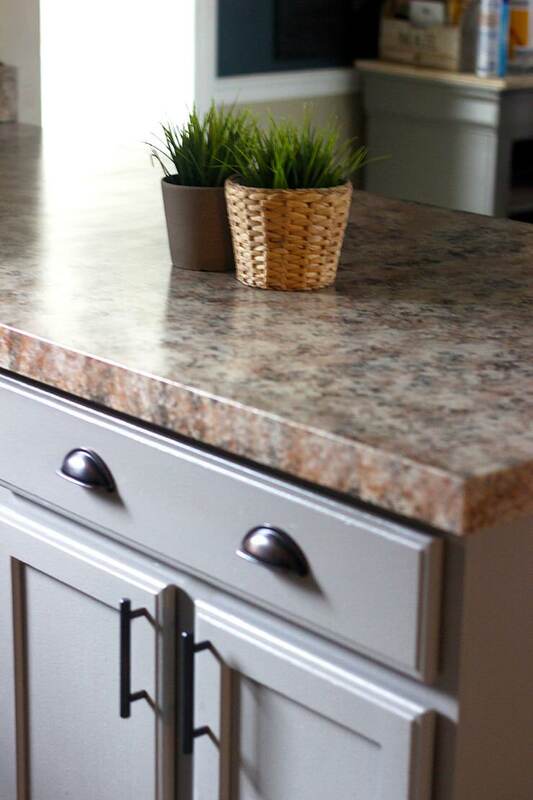 If you like grey granite finishes like we do, then take a look at this tutorial for faux granite countertops from ‘Pearls and Sports Bras‘. Ah-mazing! 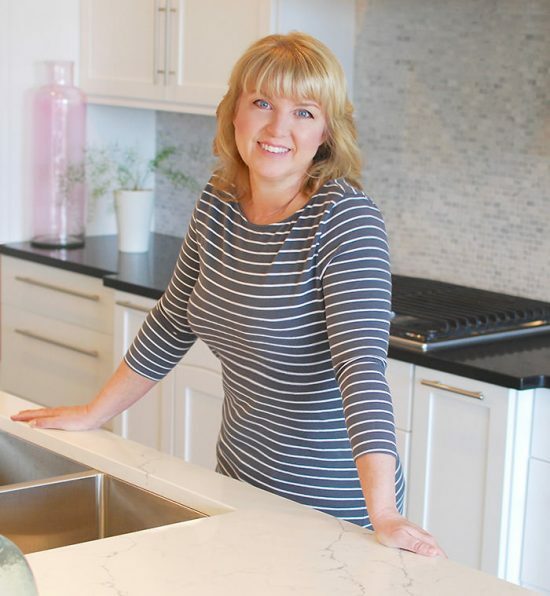 Diane at ‘In My Own Style‘ used a service that poured a composite to make faux granite countertops. Isn’t this gorgeous? Check out how they went about this! Oh, and this method doesn’t have a cure time, so they can be used the same day. ‘Giani Granite‘ is one of the most popular granite counter kits. You can find their products at their site or at ‘Amazon‘. 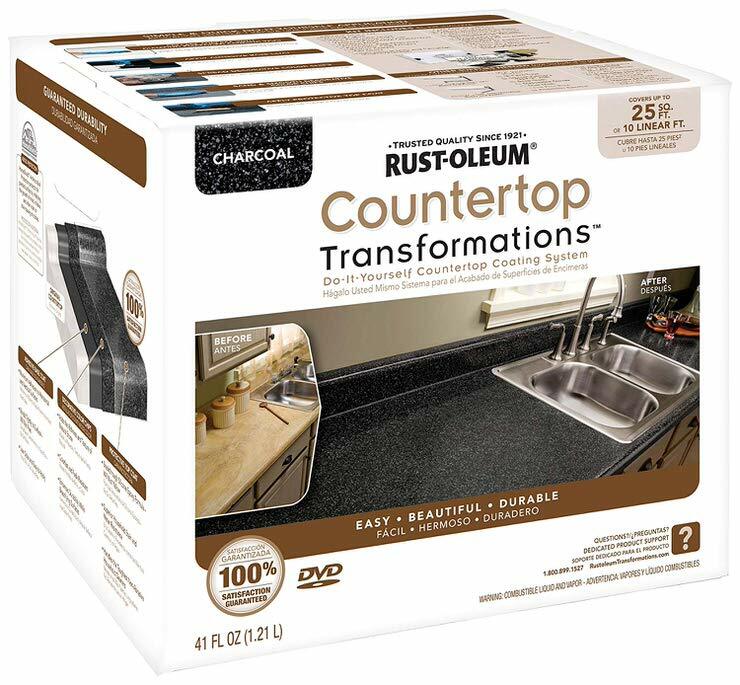 Another popular kit is “Rust-oleum Countertop Transformations “. This is the one that has the realistic chips to add over the base coat. 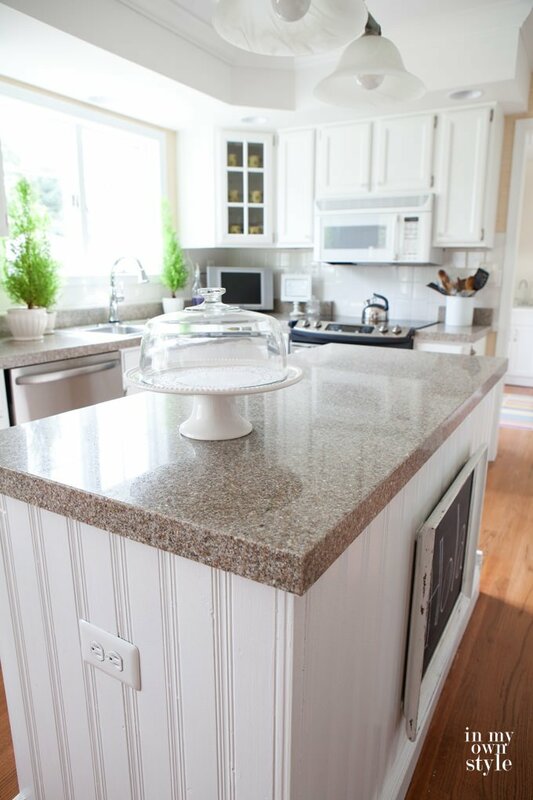 We hope you have tons of great ideas on how to DIY faux granite countertops! We think you will also enjoy our post on DIY Budget Kitchen Makeovers. 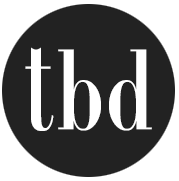 Also, check out Kitchen Drawer Organizing and DIY Countertop Projects at our sister site, OhMeOhMy! Thank you for taking the time to show this! 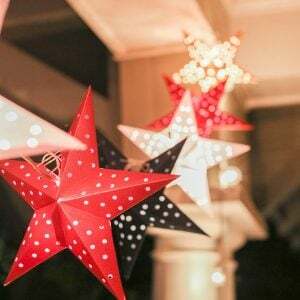 It looks great, and your instructions make it sound DIY friendly! What type of paint did you use? I’ve read other websites where they used craft paint, but I don’t imagine it will hold up as well. The counters look wonderful!!! As long as you properly seal it with polyurethane, you can use any paint you want. The poly is what provides the protection, not the paint! It looks very smooth and the ones a person can purchase at hardware stores are not smooth because of the paint layers. Does this dry smooth like granite? It was written by a guest poster, but I would guess there will be some evidence of the paint layers in certain light. I think using a gloss sealer would help disguise that. Did you sand the formica first and then use the vinegar? Or vice versa? How long did you allow the primer to dry? How long to dry the first coat of paint before starting second color? I am really excited to do this! I have painted my cabinets black and the walls red with stainless steel appliances. Do you have a suggestion on paint colors for my “granite”? I was thinking of a very light gray with black and a tiny bit of red. Or a white background with black and red. What do you think will look the best? Thank you! Hi Julie, The post was written by a guest contributor, so I don’t have all your answers… I would be willing to guess you would use the vinegar first, then sand… I would let the first coat dry at least an hour, or however long your can says to wait before re-coating… I would choose a neutral color combination for your counters… Good luck! Wonderful idea, but I have the old type countertops that look like paneling on the countertop, would it still work. You can paint anything with the proper primer, but the question is whether this will look like you want it to at the end of the project. I can’t picture the type of counters you are describing… can you give me a better idea of what “paneling” it looks like? can you do this over butcher block countertops too???? I don’t have any experience with that, but as long as you properly prime and seal them, I don’t see why not… Check with your local paint store specialist and ask them if there is any issue with painting over butcher block, specifically with moisture. Could you please give me a timeline from start to finish? A day? A week? Something else? I am VERY interested, but need to know the time involved before I undertake this, as I am not the only one who uses the kitchen. Thanks a lot! Also, what did you do about the sink? Remove it (GASP!!!!)? We just poured concrete countertops and I am staining them. My island I did a faux stone look. Now on to the sink area. My question is the sealer. Is the polyurethane food grade? I was tols not to use it due to the everyday use and bacteria. I bought an epoxy that is food grade. I would love to find something less expensive. Thank you and I love this! So I love this idea but I’m worried that cleaning the countertops might be a problem. Would strong cleaners ( like bleach mix solutions) take the paint off of the counter? How durable is this really? Hi Michelle! Honestly I wouldn’t use a strong bleach mix on most counter surfaces…even stone could be damaged by that. But I have had several readers report their counters, with the proper sealants applied, have lasted for several years… Good luck! They really look great an I am going to try this just as soon as I have time. I really think that you can do any kind of counter tops if you do it correctly an after you are finished with them you need to care for them like any thing that you want to last. how do you do this with tile counter tops? Unfortunately I don’t know if you could make it look realistic on tile… readers? Why would you want to do this on tiles? I’m with Kathy, I’m not sure if you’ll get the same result. I have used this many times in my rental properties with great success. The tenants love it, and usually mistake it for real granite. I do however, apply a couple of extra coats of polyurethane. It is a very economical way to cover that 70’s laminate until you can afford the real thing. I have heard of them holding up for several years before needing a touch up, as long as you take care of it! For more durability than a urethane you can use an epoxy. While regular epoxies drip and take 24hrs to dry (you have to cut the drips off after drying), there is a new roll-on epoxy that I just ordered to try on my painted countertops. It is dry to the touch in four hours with no dripping and can even go on walls such as high backsplashes which pour on epoxies can not do. I will post my results once I try it. Do you know if I could apply a sealer that wouldn’t give such a shiny appearance? I love the colors and depth of granite but not the sheen. You can use a satin sealer! I haven’t done this but I have finished many wood products. Gloss finish is much harder than a satin finish. Try doing several coats of gloss then finish with satin. I love the countertops. I wanted to know do you know how to do it with tile counters because my kitchen and bathrooms have white tile and white grout and I would love to change them to granite without buying granite counters. Has anyone done this with tile? Any advice for Carmelita? Do you think you can do the same to get a quarts look counter top.. One base color… Sparkles and sealant?? I do! Just practice first for the technique!I still think two colors will give you more depth, just make them very close to each other, maybe just one shade or two off… Anyone tried this? How long before you can actually use the countertop after it is finished? I have read on some sites that you should wait anywhere from 14- 30 days before using it because you could damage the surface. Who can go 30 days without a kitchen top ? Not me. Any guesses? We waited 24 hours, then were just gentle on it for a few weeks… We used cutting boards religiously, etc… I’ve never heard 30 days! I agree, who could? I want to do black countertops. My cabinets are white with black hardware. What colors would I use. Hi Tammy, That post was written by a guest contributor, but I would guess a black background and two shades of gray, a dark and a lighter as secondary colors. Good luck! You used oil base poly valtine as the top coat, or for all of the color then as the clear sealer? 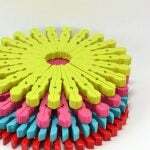 And what was your drying time between coats?